Preston Bailey, one of the world’s preeminent floral and event designers, presents dozens of his most memorable arrangements. From one of the most renowned floral couturiers and event planners working today comes a rich presentation on the art of flower arranging perfect for home decoration and inspiration and of interest to professionals. 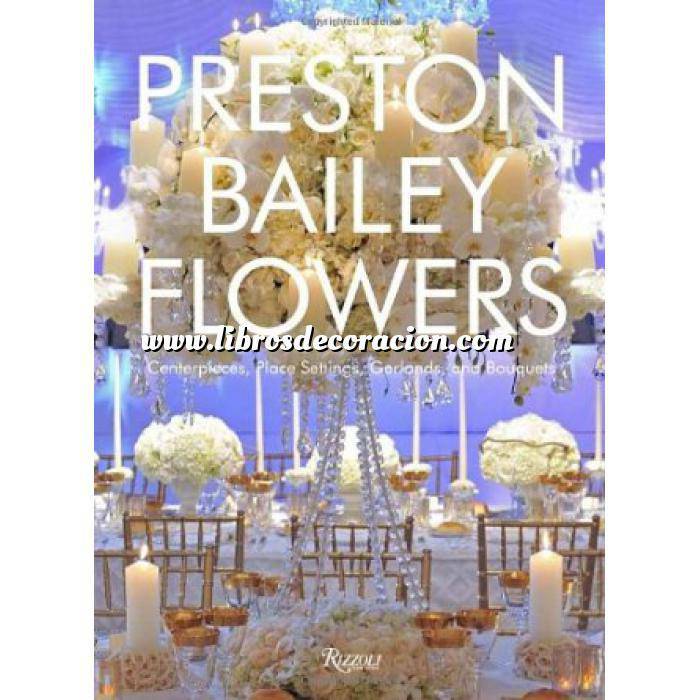 In his first single-topic book, Preston Bailey shares his philosophy about flower design, walking the reader through the creation of his highly original floral centerpieces and other arrangements with advice on how to achieve the same results. For each arrangement, Bailey discusses his inspiration and describes the type of flowers used, providing great detail on those he selects for the tables, both for the centerpieces and the place settings. He explains how the flowers influence the mood of each event, and illuminates the role that flowers play in the selection of lighting, table linens, and overall room decor. The arrangements vary from smaller groupings easily replicated at home, to the more elaborate works of art for which Bailey is renowned. Appealing to both the amateur and the professional, Preston Bailey Flowers is an essential and unforgettable addition to the flower-design canon.